“ the cellar “ and patio the torches are lit and the long table covered wonderful meal with exciting local food. Suitable for groups of 15-45 people in the corporate or private event. Either you come by bus from the eastside (Haukeli or Hardanger) or the vestside (Stavanger /Haugesund), while the bus driver drives the tunnel stretch will passengers have an unforgettable boat trip. right about life on the steep farms and archaeological discoveries. Langfoss waterfall with its 612 meter fall is voted one of the worlds 10 most beautiful! 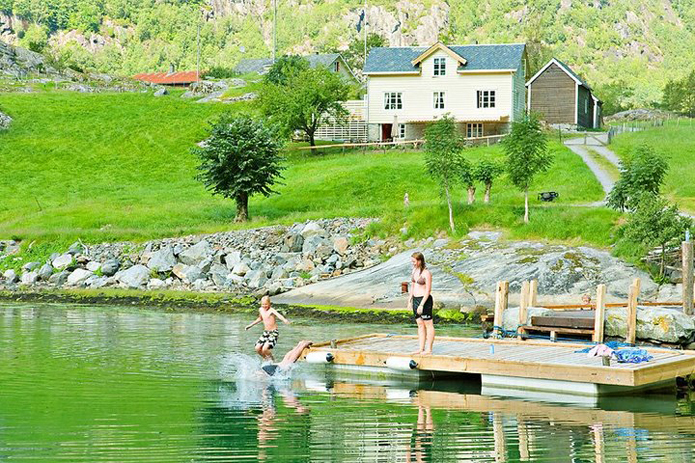 and with the best views of waterfall and fjord you can enjoy a wonderful meal from Åkrafjord producers. Light hiking in the cultural landscape. The farm has been owned by the same family since the 1600s. And Øystein Eljervik who runs the farm is the 11 generation. Meeting point before / after stretch is Eljervik and Åkrafjordtunet Fjord Culture Center. Subtotal: about 2 hours, including fjord sightseeing and lunch. Suitable for groups of 20-50 people. 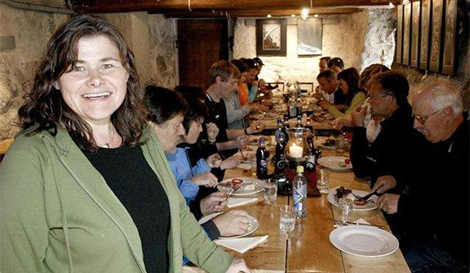 For bus groups can offer lunch from Åkra Fjord local cuisine.